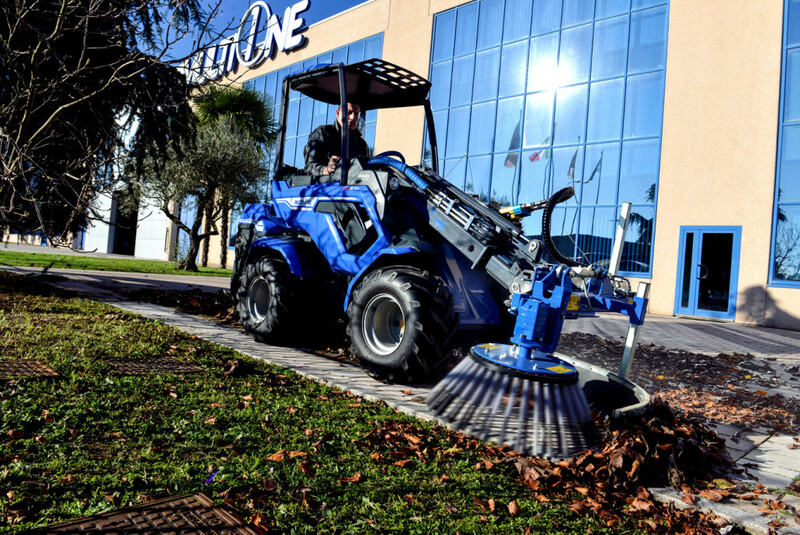 With the MultiOne weed brush, cleaning pavement is a breeze. 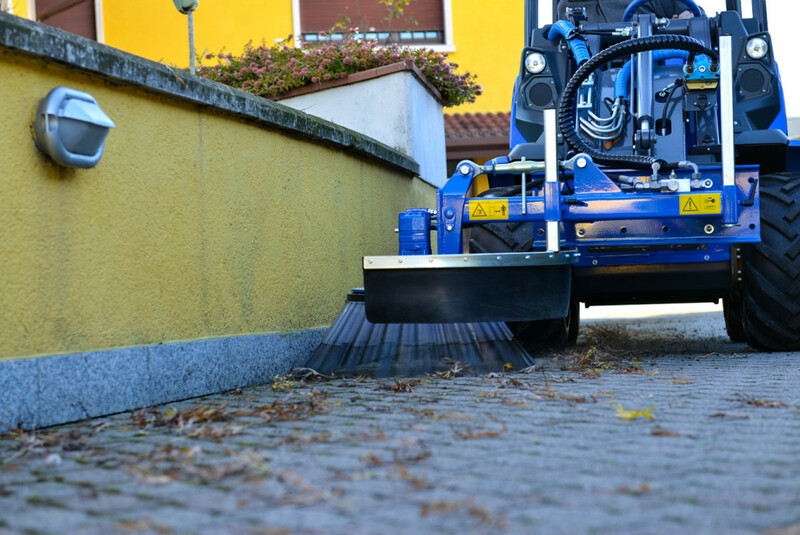 Its tough bristles get into cracks and crevasses to remove debris that clings to the surface even after using street sweepers and washers. 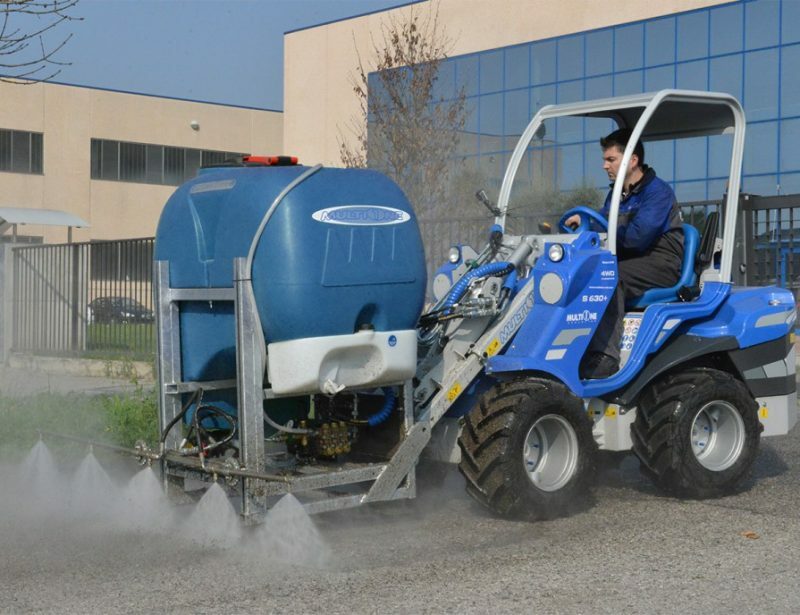 It’s the perfect tool for cleaning walkways, pavement grids, paved areas near walls, and tall curbs. 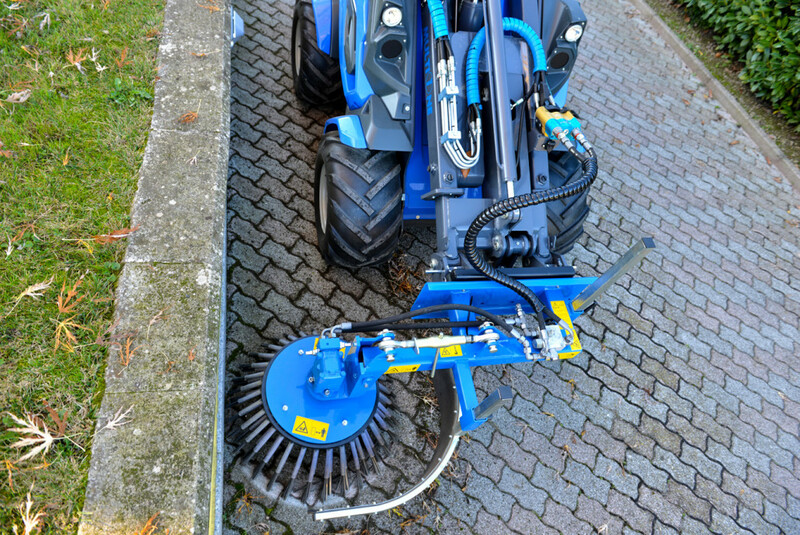 The weed brush attachment works to both remove built-up dirt and remove plants that have taken root in pavement joints. 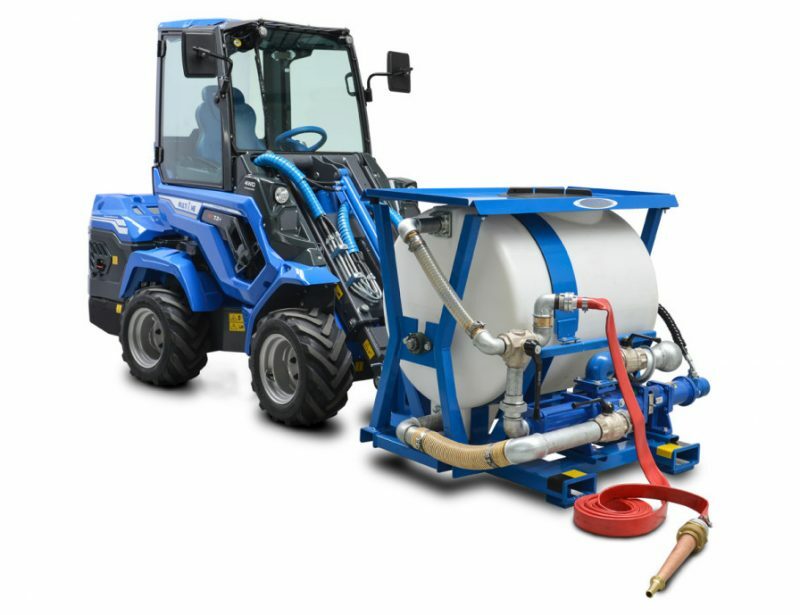 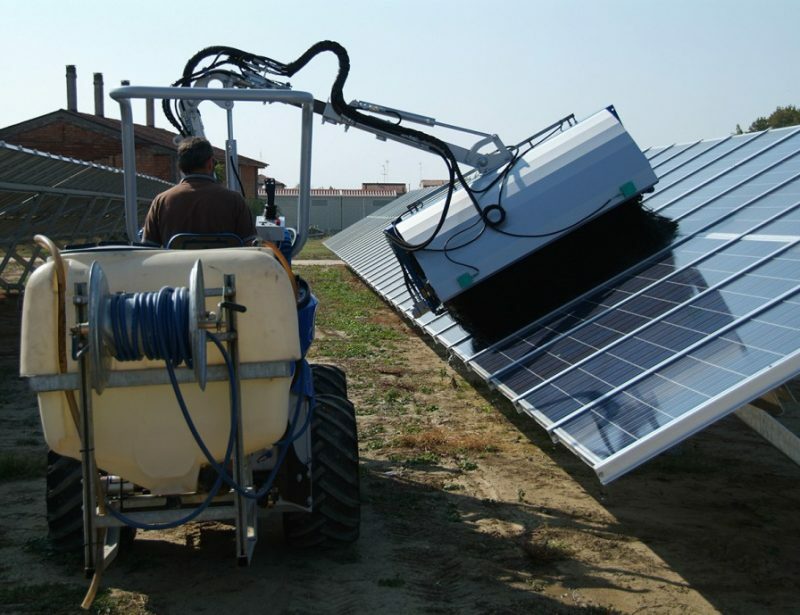 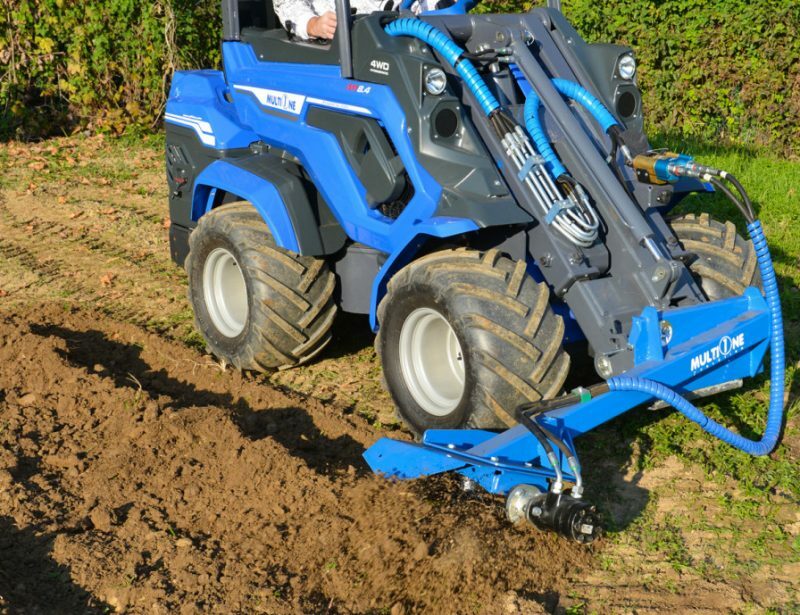 This makes it particularly well suited to cleaning cobblestones and pavement grids, removing debris and plants that gather in the exposed soil. 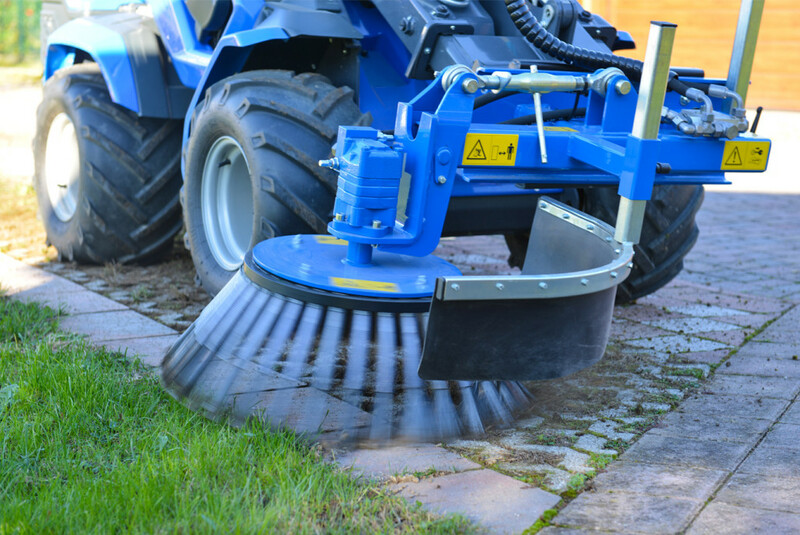 The brush can be used flat or be tilted to clean angled curb edges. 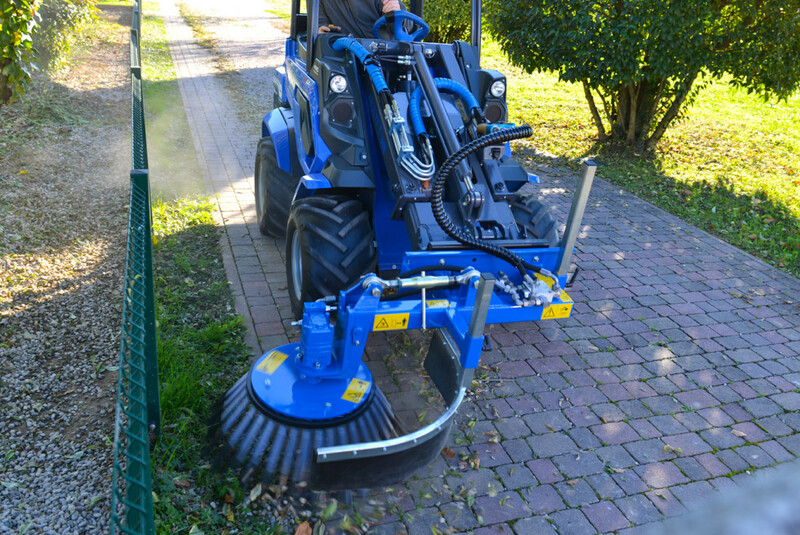 The brush head uses steel bristles for long wear when scrubbing paved surfaces. 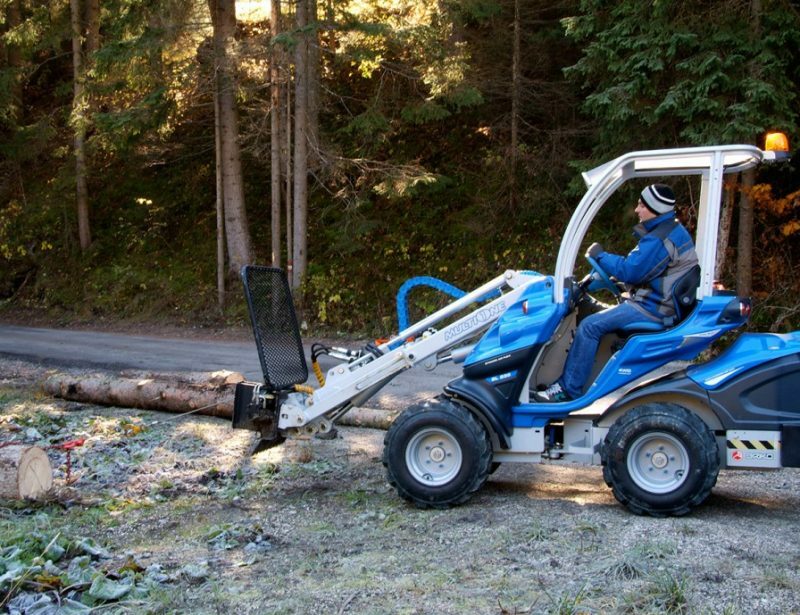 A rubber shield around the front and left side of the brush helps channel debris away from the area being cleaned, while built-in supports allow this attachment to be free standing for easy mounting to the mini loader’s boom. 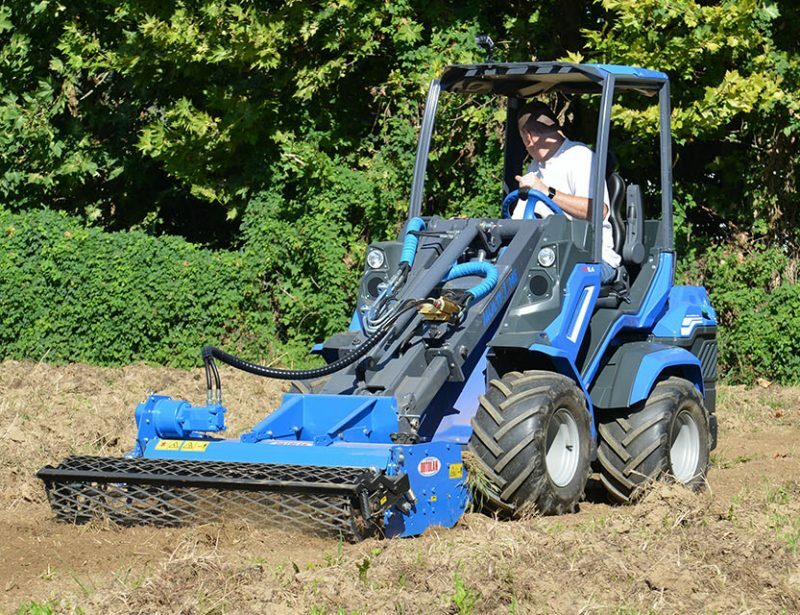 The weed brush attachment has a 22.8 inch (58 cm) diameter brush and weighs 209 lbs. 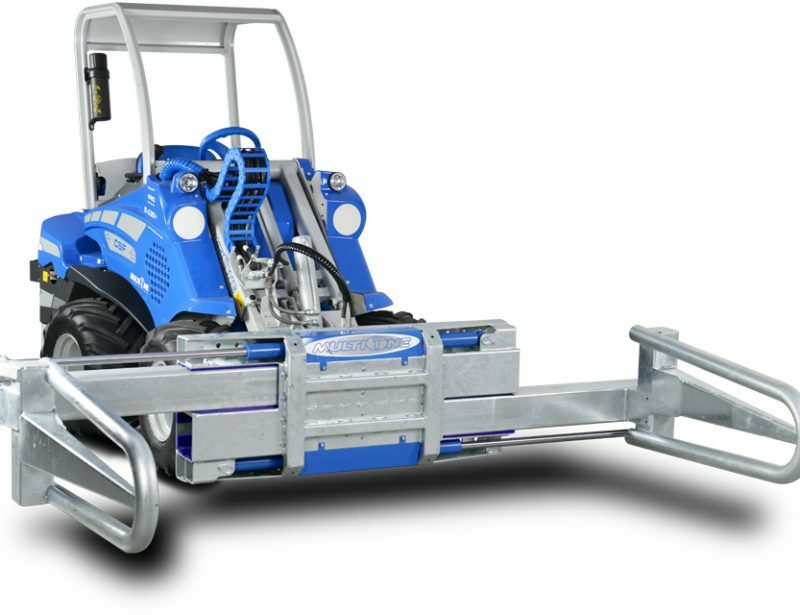 (95 kg.) 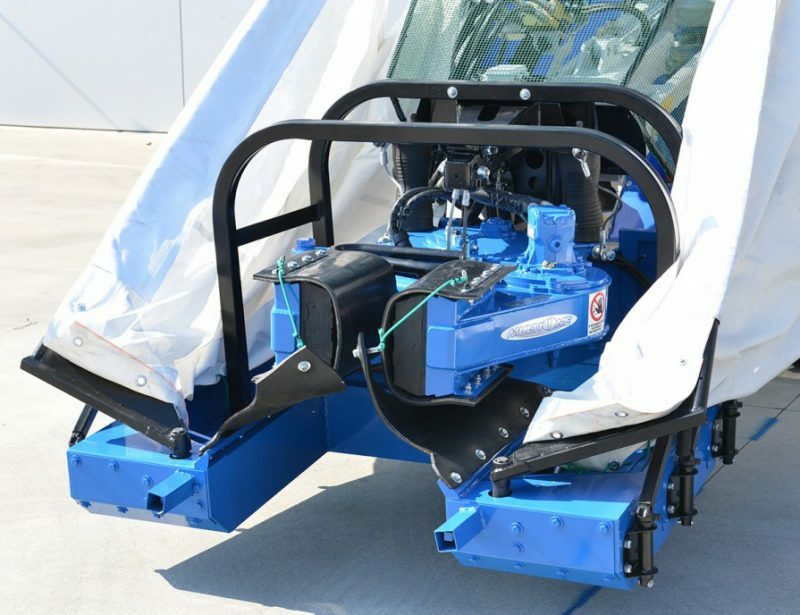 It’s compatible with all four wheel mini loaders, but MultiOne recommends using this attachment with 5 Series or larger loaders for the best performance.